People are the lifeblood of an organization. Their contribution is what makes the organization thrive. Imagine a workforce that is aligned with the vision of the company. Imagine a workforce that is inspired and motivated, and shows up for work clear and enthused. Imagine a workforce that works as one in achieving the highest objectives of the organization, with energy and vitality to go after the opportunities. Such a state of affairs is not utopia. However, we seldom seem to encounter an organization that shows these characteristics. Fortunately there is hope on the horizon. Lucid Field was borne out of a new vision of wellness - one that encompasses and transcends physical well-being. Lucid Field Scintillate ™ is a Workforce Actualization Program™ that systematically engenders greater levels of well-being corresponding to a higher strata of consciousness and emotional well-being. It can be considered as the next generation of corporate wellness programs. 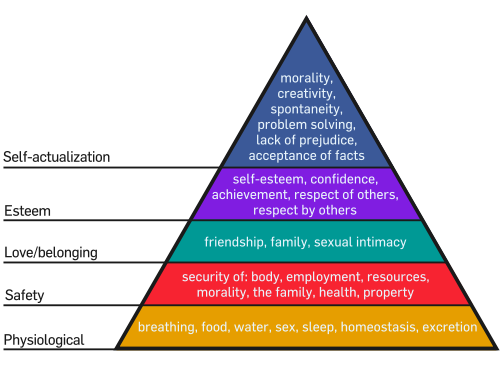 Abraham Maslow described a model to depict the hierarchy of needs of an individu al. In this model, at the bottom of the pyramid are basic physical needs. Further up are emotional and psychological needs. And finally at the top are our needs for meaning. Lucid Field’s approach to wellness takes a top-down approach, placing emphasis on the higher level needs of the individual. The impact of this approach on an organization can be dramatic. We can help in taking your organization and workforce to a new higher level of functioning. Our approach includes stress reduction utilizing age-old techniques as well as modern technology. It addresses emotional well-being through life coaching. And it addresses physical well-being by focusing on the energetic aspects of our body. This program is not for everyone. It is for organizations whose leadership is progressive and somewhat radical, and can see the outrageously positive impact that such a program can unleash. A workforce that is energized in this way can multiply the organization’s impact on its market by orders of magnitude. We invite you to engage in a dialogue with Lucid Field. One that could take your company to the stratosphere. Copyright © 2014 Lucid Field, Inc. All rights reserved.